This level have normal difficulty and usually ingredients requirements are easy in dreamworld but still required good strategy. For this level you need to play again from bottom to break blockers so ingredients wont stuck on it and then try to play or make special combos near to ingredients with balancing the Odus owl to take down ingredient. 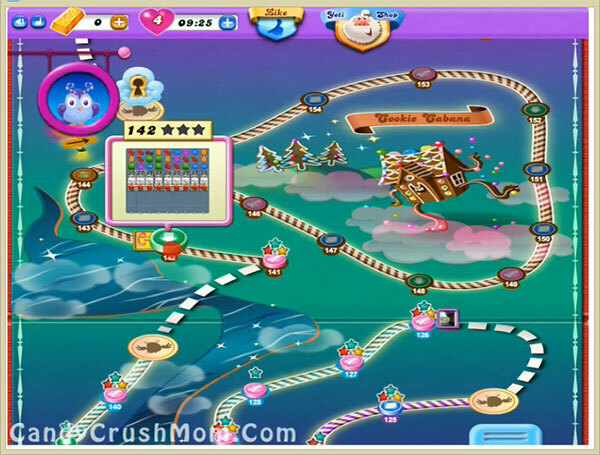 We completed this level with 152620 score by play from bottom and special combos and remaining 9 moves converted to bonus striped candy that help to complete this level with three star score.